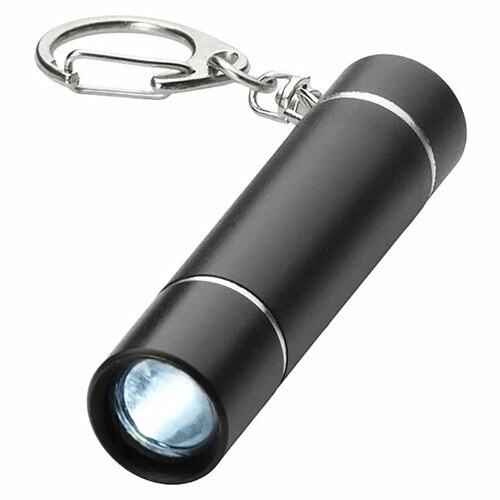 These 'Lepus' torch keychains feature a split metal keyring attached to a black aluminum tube-shaped torch with pull-out light function. 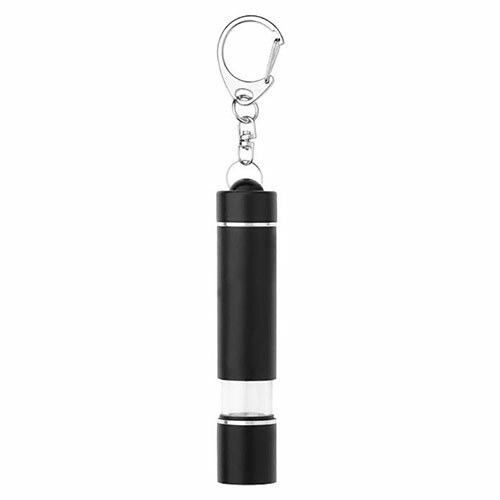 Measuring 6.8cm in length and weighing 22g, these handy keychains are supplied with batteries included and offered with engraving of the black barrel. 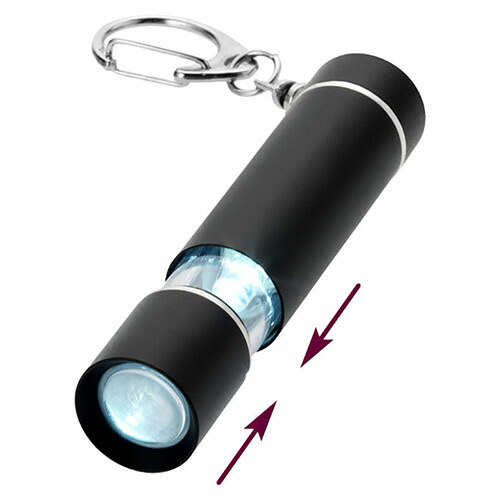 MOQ - Please note, minimum order quantity for this torch keyring is 15 units.